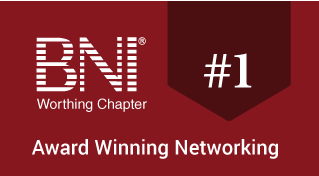 The Education slot takes place near the start of every BNI meeting. It is an opportunity for the group to learn or refresh ideas for better networking. The current Education Coordinator is Fiona Vincent of Broadwater Flowers Each member is on the rota to present the Education slot. If you will be away when it is your turn on the rota you must swap with another member. That means: you don’t ask the Education Coordinator to fix it! You simply arrange with another member to swap. The Director will introduce the Education Person for that meeting e.g. “And now, the Education Slot”. As Education Person for the day you introduce yourself and briefly say what the Education slot is (example below). Then present for up to 5 minutes the networking topic of your choice (examples below). When it is your turn to present the Education slot confirm your chosen subject with the Education Coordinator at the previous meeting. When it is your turn to present the Education slot feel free to pick one of the following topics. If you would prefer to present an alternative topic please check with the Education Coordinator first. Asking for the perfect referral in your 60 seconds. Giving a good referral. An effective memory hook for your 60 seconds. Bringing visitors to BNI. Arranging a substitute if you’re away. Why do ‘One to Ones’? No need to say “I have no referrals today” Your 10 minute presentation. Who do you know? What do they need? The role of the Chapter Director The role of the Treasurer Every one is a Visitor Host Communication skills Listening Can you think of some more great topics? Ask the Education Coordinator to add them to the above list. You may want to introduce your Education slot with something like this: “Good morning, my name is… Every week a different member of the group presents the Education slot. This is an opportunity for the group to learn or refresh ideas for better networking. Today it is my turn, and I’m going to talk about…” Be sure to note when you are presenting. If you will be away when it is your turn you must swap with another member. If you wish to present a topic not on the list above please confirm with the Education Coordinator. This page will contain contain links to my favourite BNI Educational slots and hopefully they will be of use to Education Coordinators around the world. These are not all my own work, they consist of information that I have found online and gleaned at networking events and business training that I have attended. An insightful piece about how NOT to waste your time at BNI. Fact – People buy people. The most powerful relationship in BNI is that of your Power Team. The working week of a hard-core BNIer. Nail your 50 second presentation. Don’t wing it! Negativity NOT ALLOWED – Always look on the bright side of life. Some tips on finding the perfect sub. The badge came first. Great business followed. It’s all about YOU. First impressions are lasting.